You’d have to be blind to not realize that disgraced former quarterback Colin Kaepernick isn’t big business in journalism. 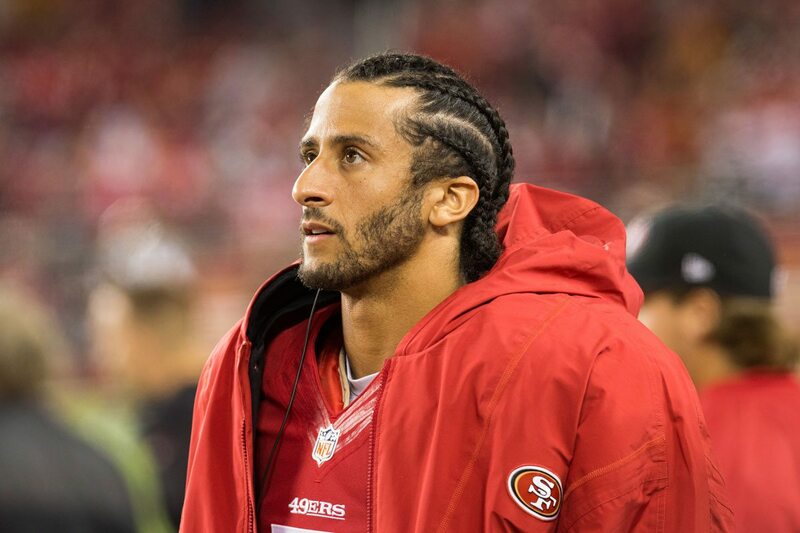 He generates a lot of profit because his divisive polarizing National Anthem-kneeling controversy has millions disagreeing about what he really intended by his actions. That’s why even the bigger news media giants love to report on him over even the most miniscule reasons. But The Washington Post, NBC Sports,and Sports Illustrated all perpetuated a story about the embattled quarterback that simply wasn’t true. Fake News is the media’s opus nowadays. There’s no doubt that like Kaepernick, President Donald Trump, deals with this kind of thing all the time. You would know that if you checked out Trump’s tweets. A story broke about Kaepernick that he wanted a staggering $20 million to play for the new developmental league the AAF (Alliance of American Football). Then news broke again right afterward that he also asked for that amount of money from the XFL which will debut in 2020 under wrestling guru Vince McMahon. The only problem is that it wasn’t true. The Associated Press first reported it in February that claimed they had an “anonymous” source – there’s that word again – saying that he wanted $20 million. The AAF only plays its players $250,000 so you see the discrepancy. The reason why 247 reports this instead of the Associated Press – by the current time of this news break – is that the Associated Press deleted the news from their website altogether because that anonymous source turned out to be a sham. And he’s right. You know that because the Associated Press deleted that article. But that didn’t stop The Washington Post, Sports Illustrated and NBC Sports from perpetuating that nonsense. In fact, those articles from all three of those “big league” news institutions haven’t amended or deleted them to this day. It’s amazing that these news institutions are allowed to run wild with this kind of intentionally deceiving garbage. And forget the fact that Kaepernick was the “victim” in this case. It doesn’t matter. He probably thinks he’s worth that amount of money anyway. No, this is all about the willful deception by the media to generate cash flow in order to float nonsense. And then the echo chamber takes that lie and perpetuates it further making the masses believe it as fact. It’s garbage when there is no oversight because in other industries this stuff is dangerous.